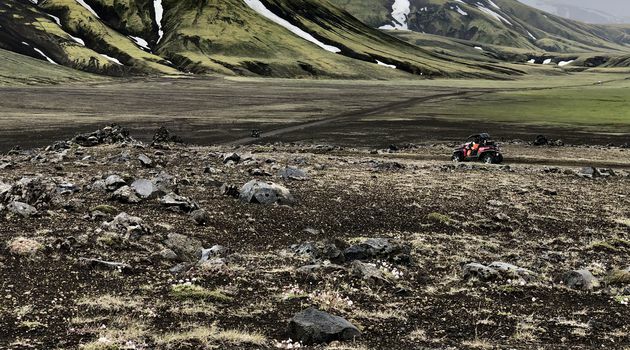 As you may know, you are not allowed on F-roads on most rental cars, so Landmannalaugar is off limits. But don't you worry, we have just the solution for you! 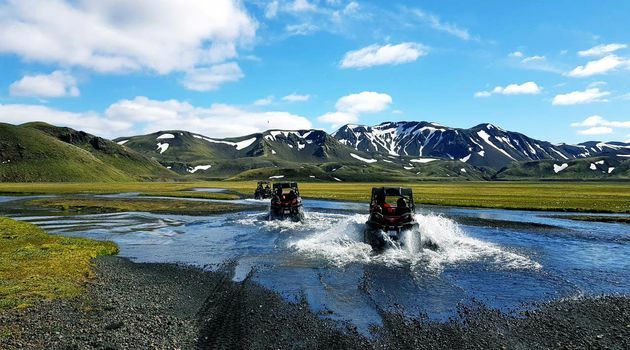 Meet up with our expert team of guides at Hrauneyjar Highland Center and join us for an amazing Buggy tour to Fjallabak and Landmannalaugar. 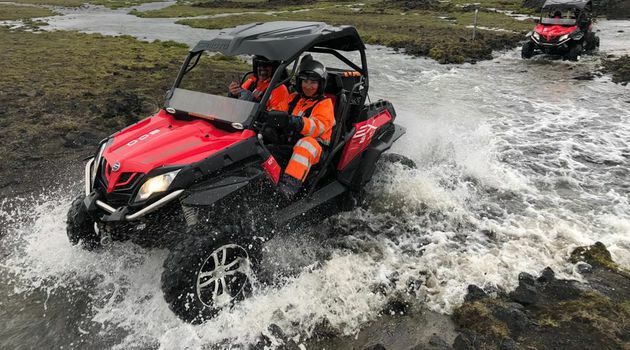 You will be geared up in all the necessary equipment, given a short safety briefing, and then it is time to get going. 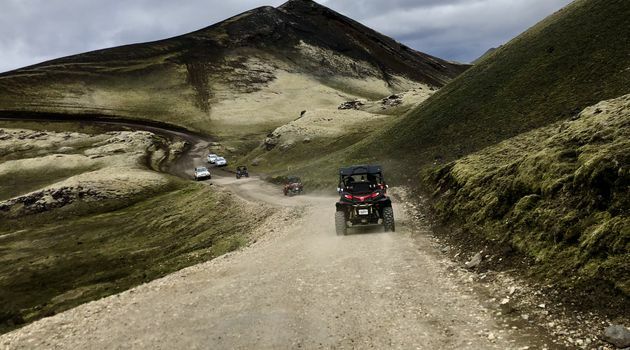 You will drive along dirt tracks, past lava deserts, pseudo craters, amazing rhyolite mountains and into Landmannalaugar nature reserve. Don't forget a bathing suit - you can take a bath in a fully natural geothermal pool.